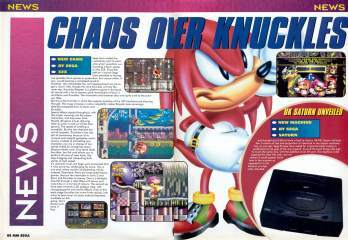 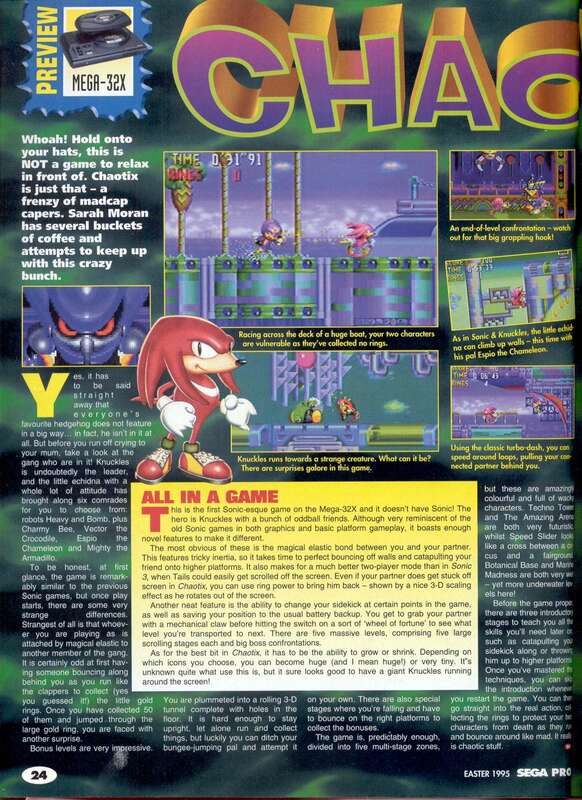 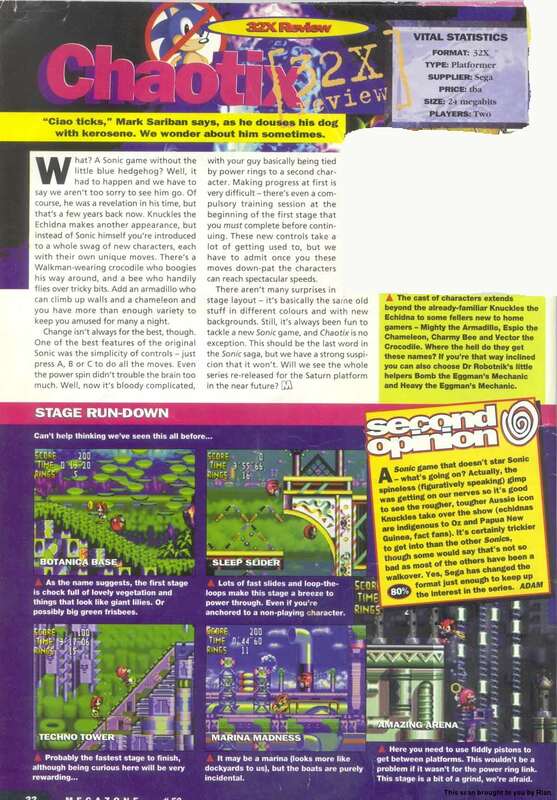 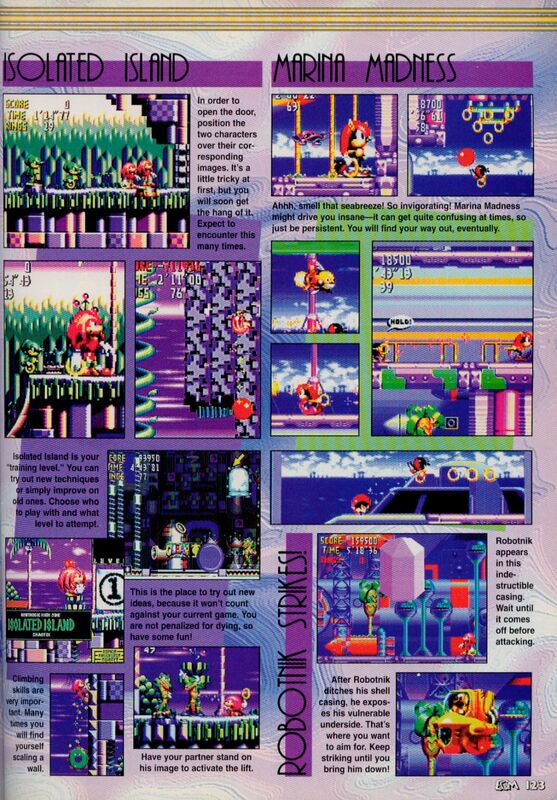 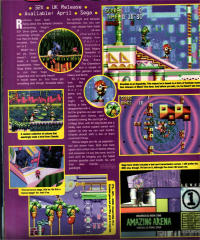 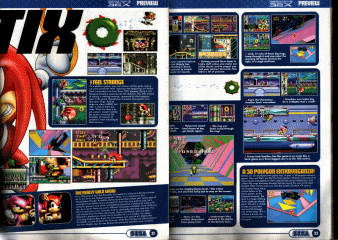 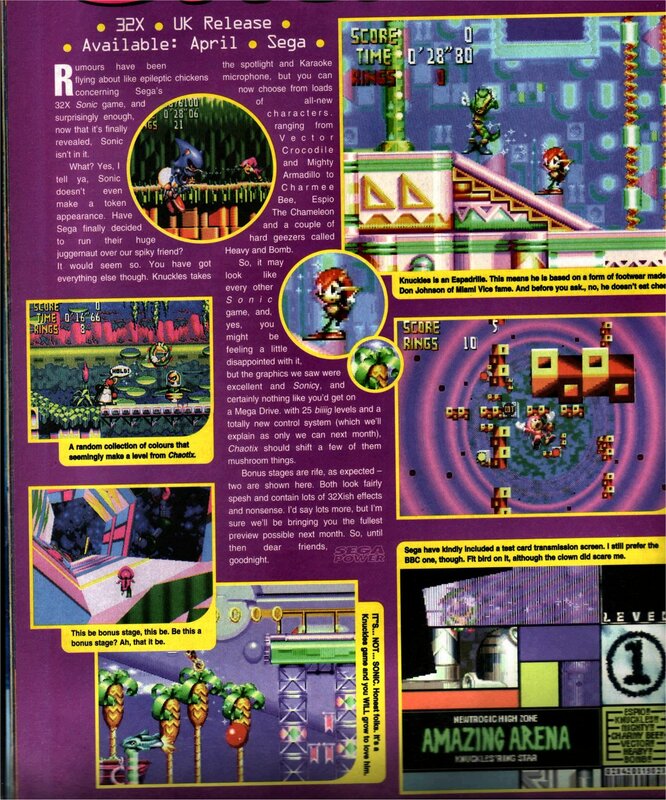 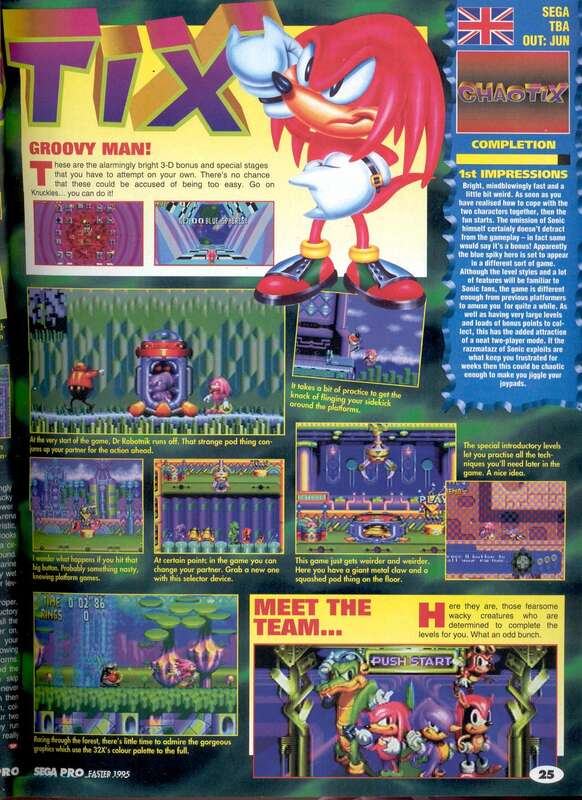 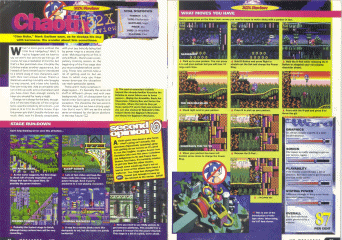 Mean Machines Sega issue 29 had a 2 page spread on an early version of Knuckles' Chaotix. 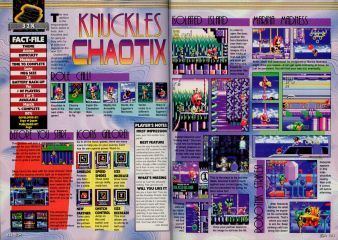 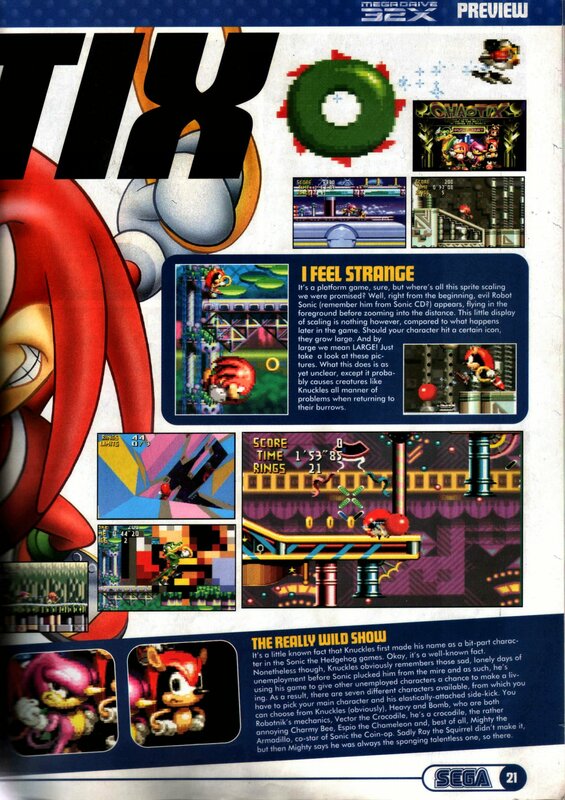 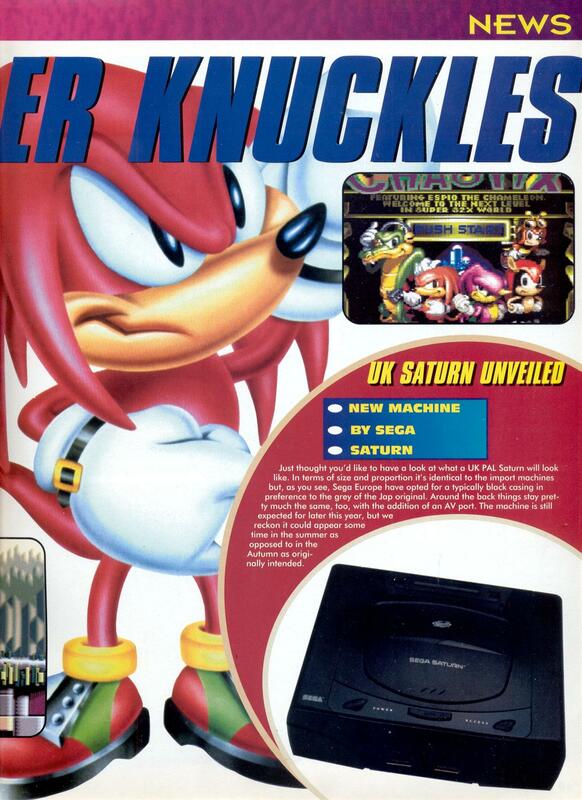 This scan features some nice prototype screenshots, and also calls the game by it's prototype name, "Knuckles Ringstar"
This preview was in the April 1995 issue of EGM. 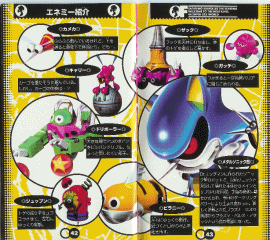 It details a lot of the little quirks the game has, like the combi-ring system, the growth power box, and the new set of characters. 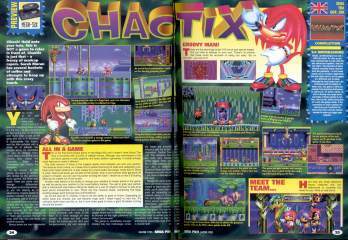 Sega Pro issue 44 had a late preview of Knuckles' Chaotix, a nice read, but the images don't show anything we don't already know. 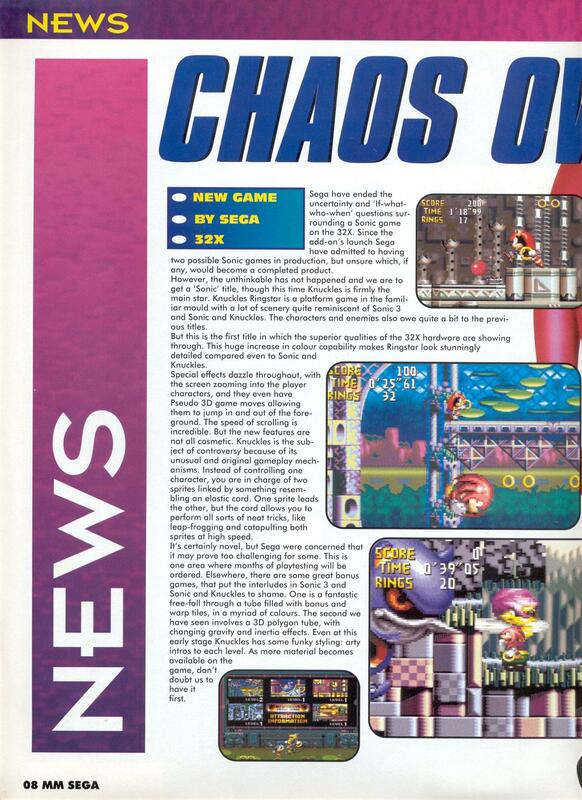 This review is from the April '95 copy of SEGA MEGAZONE, an Australian Magazine. 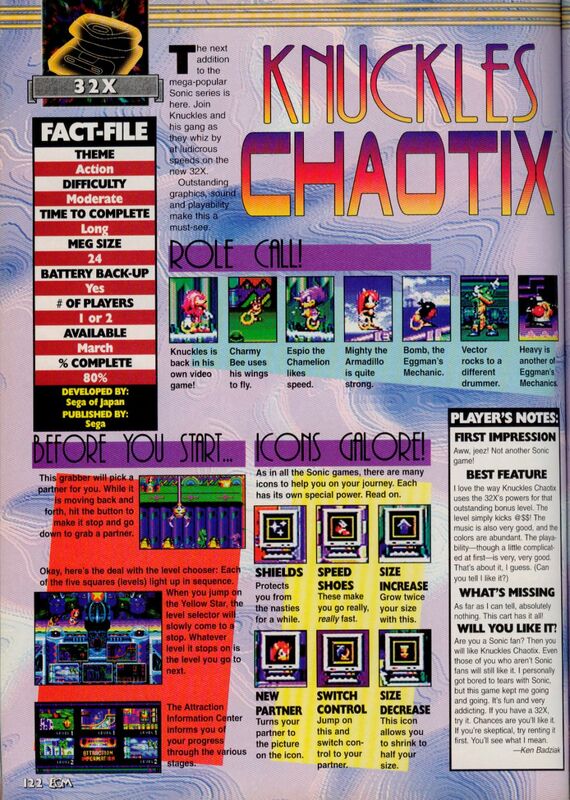 The game gets 87%. 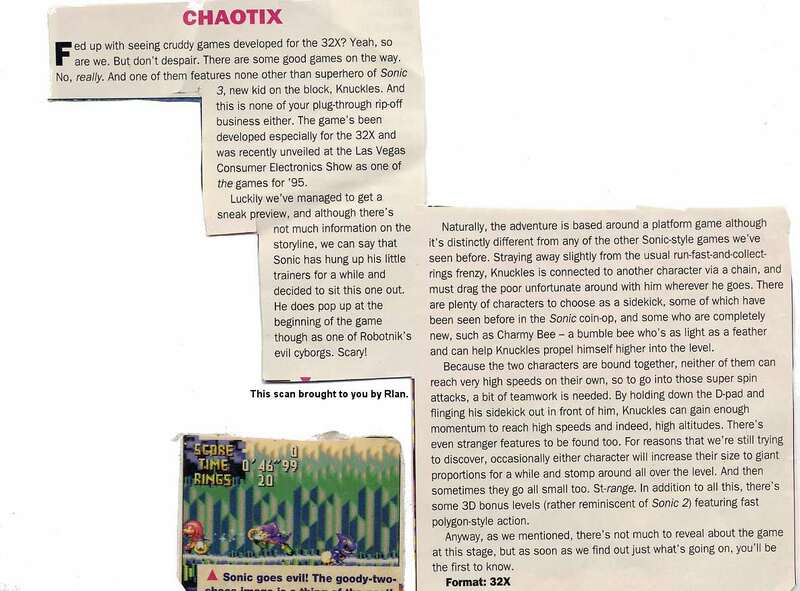 This is a quick preview of Chaotix from SEGA Megazone, althought he issue number is unknown. 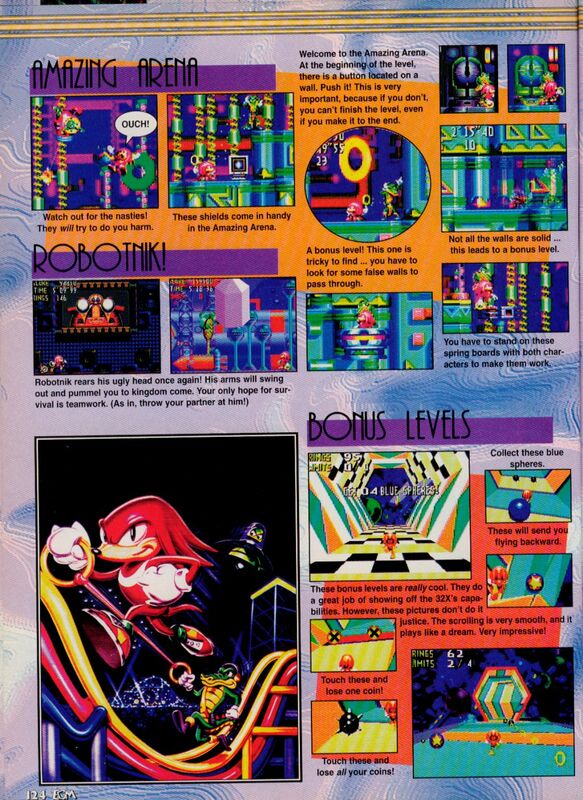 This single page originated from SEGA Power Issue 65, and includes some of the pictures from the original 'Knuckles Ring Star' version. 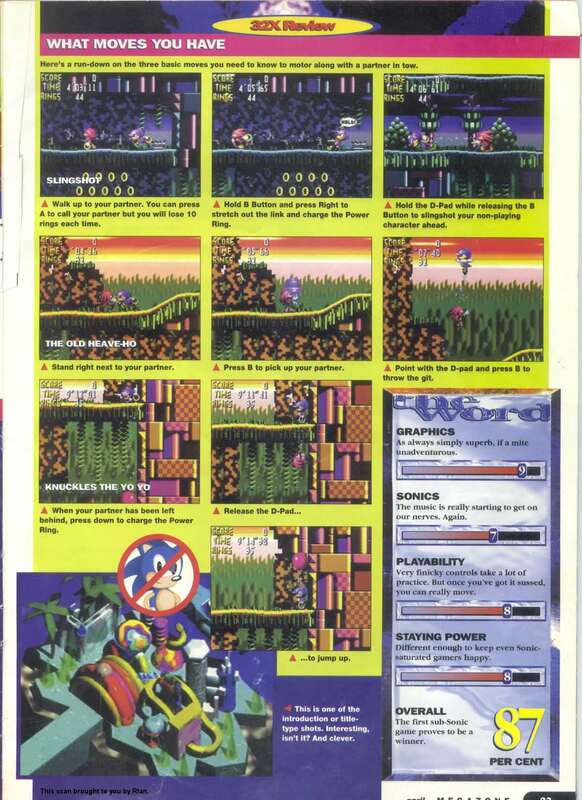 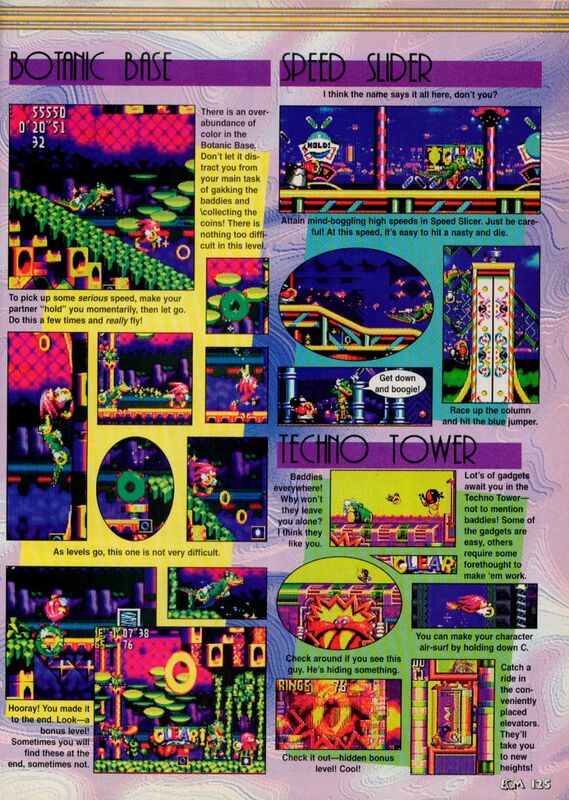 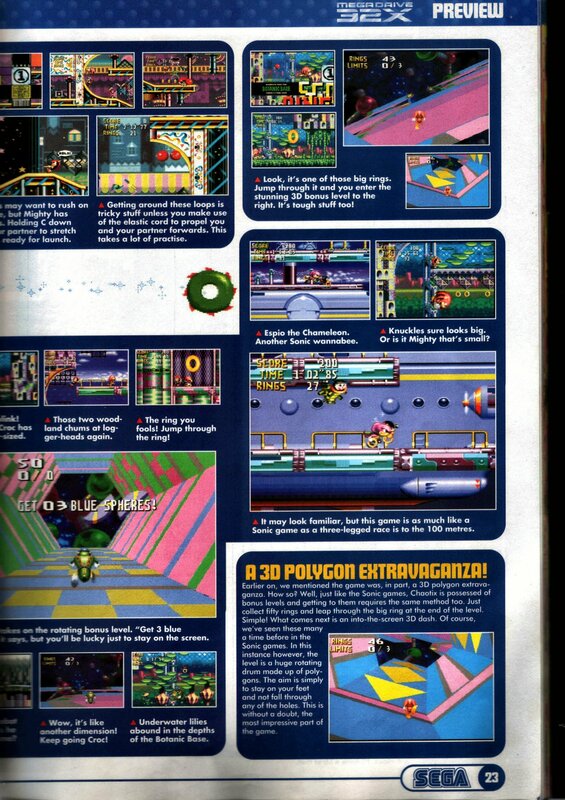 Page 2 and page 4 from the SEGA Magazine Issue 15 show a fair few glitches, and a lot of empty special stage images. 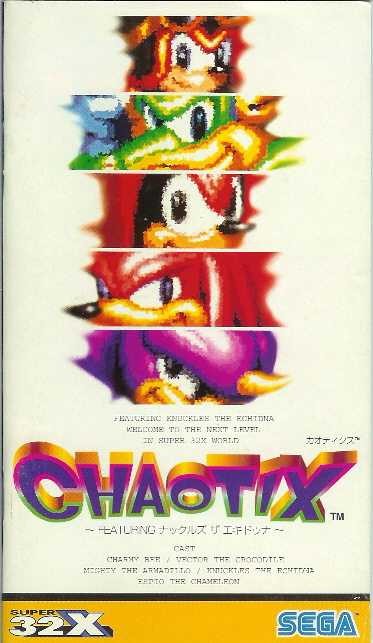 Here are a few images from the Japanese Knuckles' Chaotix manual, showing the Japanese story and artwork for the crew and enemies.